Hello! Today I have a review of a new to me UK brand, Roxanne Campbell Nail Lacquer. 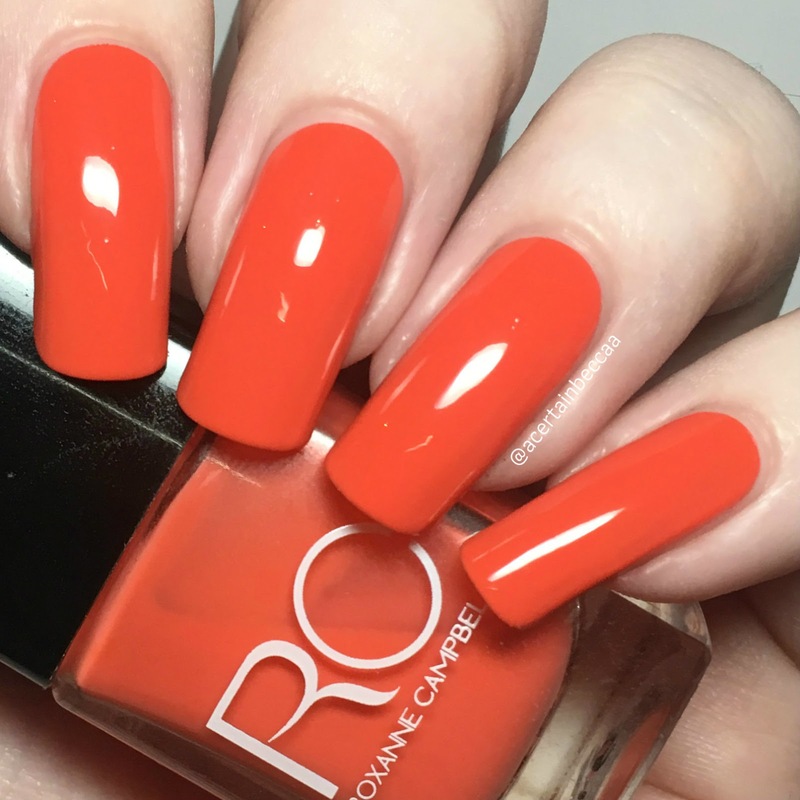 Roxanne Campbell is a celebrity manicurist and nail artist, and recently decided to expand to create her own nail polish line. I have kindly been sent one of her polishes to try. Read on for my full swatch and for some quick nail art! 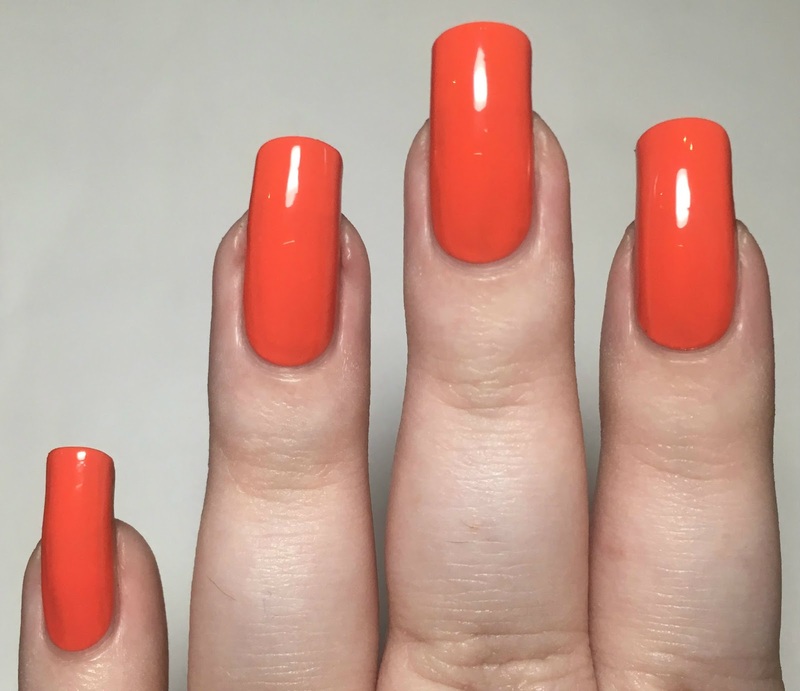 'Off To Jamaica' is a bright coral orange. I would say that this is a bit more of a crelly/jelly formula than a creme. 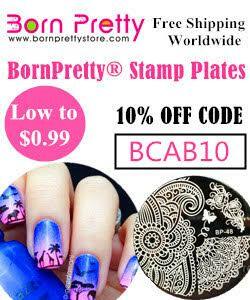 It is smooth and easy to apply, although does start off a bit sheer and streaky. A second coat builds up the opacity. I did still have a couple of streaks, so added a third to even everything out. This dries gorgeously glossy. Below is three coats without topcoat. Depending on the lighting, this can lean either orange as shown, or much more pink-toned - it's what I'd consider a true coral! I thought this would be a perfect shade for spring, and couldn't resist adding some daisies. I used my go-to flower stamping pattern on MoYou London pro plate 21, and stamped using Hit The Bottle 'Snowed In'. I then added yellow dots to the centre of each flower using Nails Inc 'Seven Dials' and a dotting tool. What do you think? It's such a gorgeous, bright shade - totally my kind of colour! I think it pairs really well with the daisies too, my nails feel almost tropical. It's definitely a welcome change as we finally start to move into the warmer weather. 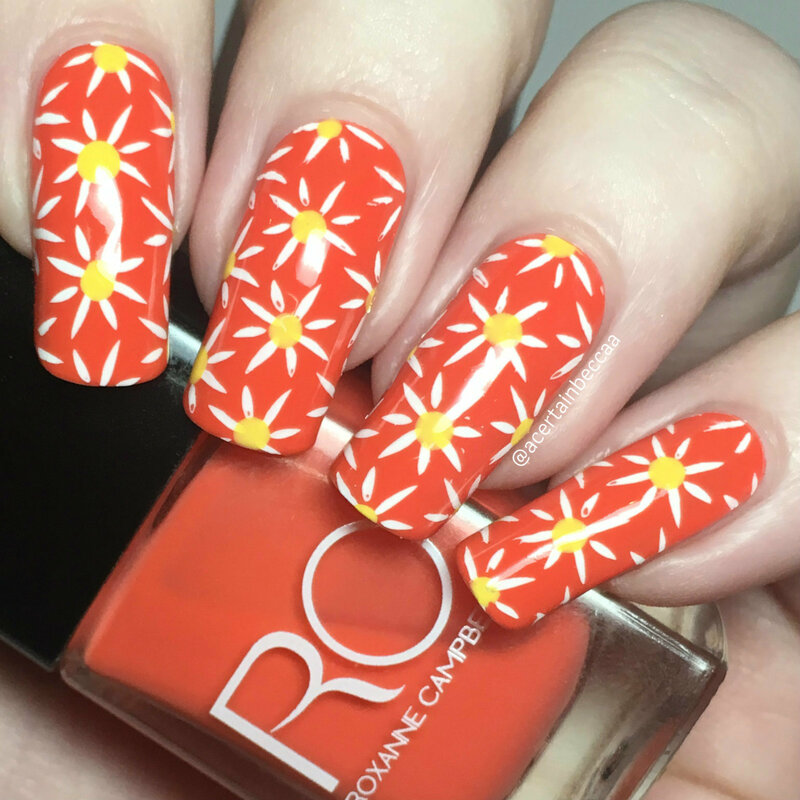 You can find 'Off To Jamaica' for £10 over at Roxanne Campbell's online shop here, along with a nice selection of other shades. You can also follow Roxanne on Instagram here. 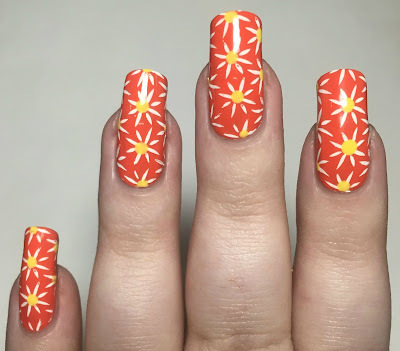 I'm not a coral nail polish lover, but with the nail art with it - it's really beautiful - love it! I've never heard of this brand but that coral is GORGEOUS! Definitely the type of shade I go to for the summer! That orange is absolutely beautiful! I love shades like that. I love this orange coral! It looks awesome without top coat! The art is bright and summery!